Skin Bistro's cleansers are oil-based formulations, so they may not be appropriate for very oily and sensitive skin. Benefits: it will leave your skin feeling silky, nourished and supple; you can use it on your face and neckline; it removes make-up, including water-proof mascara. - Cleanser balm: for dry, mature, and normal skin; it looks like a 'hard' product but it melts in contact with skin. - Cleanser oil: for oily and combination skin; product is liquid. 1. For best results, wet a face towel or muslin cloth in hot water, wring it and stretch it over your neck and face. You could also steam your face first to then apply the balm (you can try this as a once or twice a week treatment) – but you can also skip this step altogether. 2. Smooth product between fingertips and massage it all over face and neck with upward circular movements. 3. Wet the face towel or muslin cloth again in hot water, wring it and remove the cleanser with long, gentle, sweeping upward movements. Repeat as necessary. 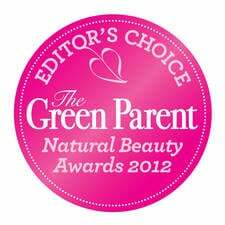 Hands and feet serum wins award!